Users in your account can be updated at any time. When you edit a user, you can change their personal information, role, contact information, phone preferences, and login settings. You can also view the user’s activity history, which shows login and softphone activity. In this section, you can edit the email address, first name, and last name of the user. If this agent is taking calls using the CTM softphone, checking the “Desktop Calling Mode” box will automatically take this user to the desk mode view of the call log when they log in. Enabling the “use remote keypress” option may help with softphone issues, but should only be used if this agent is having issues with softphone keypress recognition. If you wish to enable two-factor authentication for this user, click “enable two-factor authentication.” You can learn more about two-factor authentication here. If your user has forgotten their password or never received the welcome email when they were granted access to the account, you can use the Send Password Reset and Send Welcome Email buttons to send these messages to the user. The messages will be sent to the email address that is set in the User Detail section. 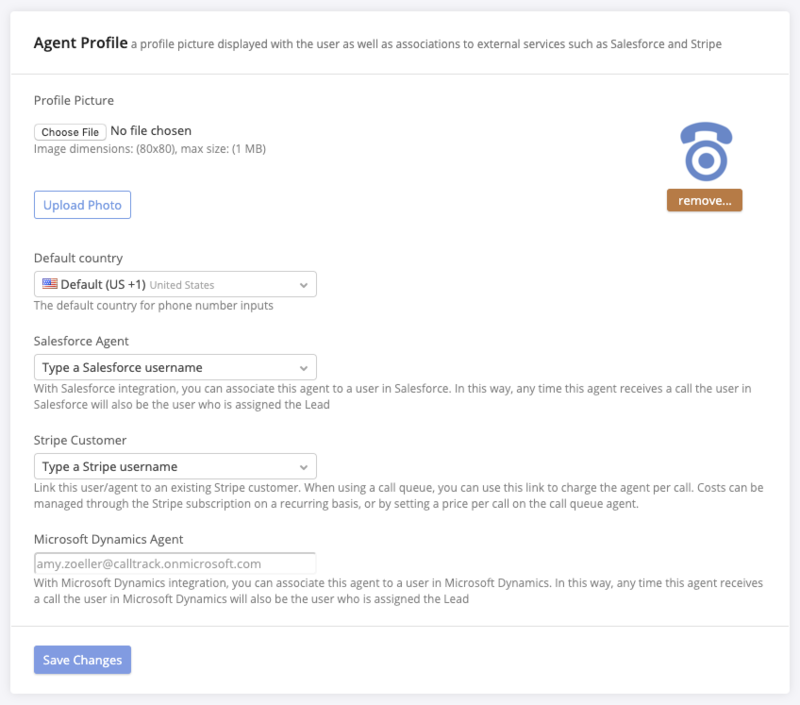 In this section, you can add a profile picture for the agent, set the default country code (used for making calls with the softphone), and link the agent’s profile to third-party profiles (only applicable if you are using an integration with user mapping, such as Salesforce). 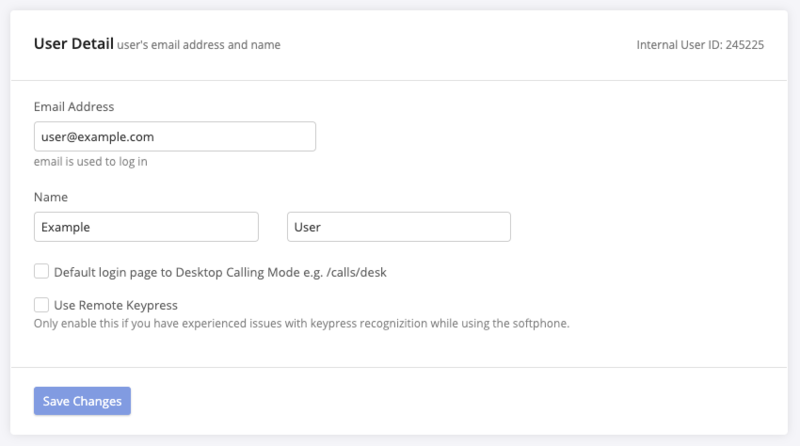 This section allows you to configure call-related settings for the user. The agent’s receiving number can be used if the agent is part of a queue or has calls routing directly to them, but they prefer to answer without using the CTM softphone. You can enter their mobile number or office number here. If this user will be accepting calls on multiple devices (for example, both the softphone and their mobile phone), you’ll need to consider the Dial the app phone first option. When this is enabled, the softphone will be dialed before the receiving number (if you have entered a receiving number in the user’s profile). If the agent also has a SIP phone enabled, the soft phone will be dialed first, then the SIP phone, and then the receiving number. By default, this option is enabled. It is generally recommended to leave this setting on. The Call Waiting toggle enables a call waiting tone to be played to an agent if they are receiving a direct call while they are already on a call. Only calls that are routed directly to the agent will trigger the call waiting behavior. 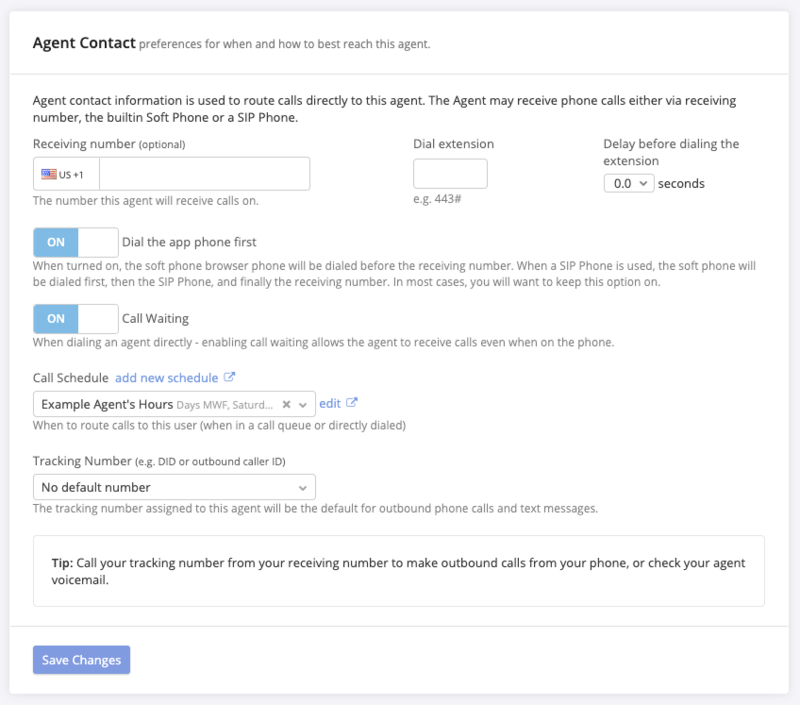 Assigning a schedule to an agent will allow you to control when the agent is available for calls from a queue or calls routed directly to the agent. The agent can only receive these calls when their schedule is active. Even if the queue they are assigned to is active and the agent is set to accepting calls, the system will not ring to them if the call occurs outside of their scheduled hours. Assigning a tracking number to a user makes that tracking number their default caller ID when they make outbound calls using the softphone. If the user has a CTM SIM card, this section is used to configure the necessary settings to enable the card. This section allows you to configure the agent’s personal voicemail box. This voicemail is used for calls that route directly to this agent (and the agent does not answer). Use the text-to-speech box or create or upload your own record to customize the prompt that will play when a caller reaches this voicemail box. Click here to learn more about managing audio files in your account. Check the “email” box if you wish to send the agent an email notification when they receive a voicemail. If you wish to include a transcription of the voicemail, make sure the “transcription” box is also checked. 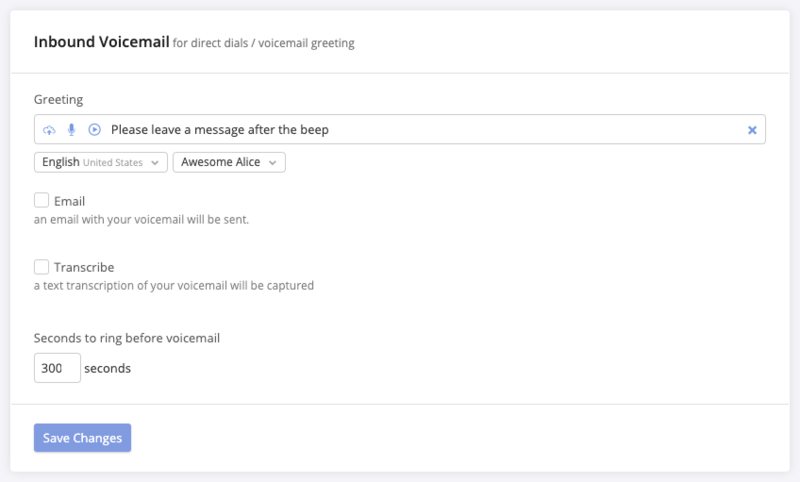 Outbound voicemails allow agents to quickly handle voicemail boxes by having a pre-recorded greeting play before automatically hanging up. They are available as a transfer option when making an outbound call in the softphone. For more information about outbound voicemail, see the full article here. This section shows a list of all devices that this user has authorized to use with the CTM softphone. The indicator to the left of each device shows its current status, and the timestamp showing when the device was authorized will be listed. To remove a device, click the trash can icon. The activity history lists agent login events and status changes (such as accepting calls in the softphone, making outbound calls, or live listening to calls). In this section, you can see a user’s current role, review the accounts in the agency where they have that role (if applicable), and update their role. To change a user’s role in a given account, you must remove their existing role first, then add a new role and assign the account to it. If you need to add or remove several accounts from the agent’s access, you can use the “select all” and “unselect all” options to quickly make changes. For more information about user roles, see the full article here. You can use the code in this section to embed a direct link into the call log and reports for this user. This tool should only be used for report managers and call managers, never administrator accounts. We recommend adding your top level domain to the list of trusted domains in your account..
To use this, you must protect access to the iframe via your own authentication system.